Submitted by JamesLevy on Tue, 01/14/2014 - 07:21. (BPT) - If your furnace, air conditioner or water heater is not working properly, you probably notice it long before you actually inspect the appliance itself. You know because those winter mornings are a little too cold, those July days are a little too hot or your morning showers are chillier than normal. All three are signs that these crucial systems are not running as efficiently as they once did. You know you need to make a fast decision to either repair or replace, but how do you know which is the right choice? Follow these tips from the professionals at Rheem to point you in the right direction and help you make the best possible decision. * It's still under warranty. This may seem obvious but many people forget to check the warranty when their HVAC or water heating system has an issue. If your appliance is still under warranty, having it repaired is a smart financial decision. You'll be out the cost for the technician's labor but you'll save money compared to buying new. * You've maintained the product over the years. If you've treated your HVAC system to seasonal tune-ups and changed the air filters regularly, and done things like flushing sediment and checking the anode rod in your water heater, repairing an arising problem is the better choice because the trouble is likely to be smaller. * It's still in its youth. Every water heater, air conditioner or furnace will need repairs at different times depending on usage and environment, but if your product is still in its early days, you are probably better off paying for the repairs instead of replacing the system. * The previous points are untrue. If your appliance is not under warranty, in the later stages of life and/or has been subject to poor maintenance, a replacement will probably be necessary. *Your unit is running inefficiently. Inefficient is defined as running excessively, constantly turning on and off and failing to heat or cool your home, or provide you with enough hot water. If you notice any of these problems and your unit is in the later stages of its life, it's time for a replacement. The 90 percent + Gas Furnace from Rheem has efficiencies exceeding 97 percent, as well as improved electrical efficiencies and 20 percent less operating noise. And, Rheem's Prestige Series High-Efficiency Condensing Power Direct Vent (PDV) Water Heater is the most efficient gas-fired, tank-type water heater designed for residential applications on the market today. It was recognized by This Old House magazine as one of 2013's Top 100 Best New Products of the Year. * Its inefficiencies are hitting you in the pocket book. You may not notice that your unit is running excessively, but you'll certainly notice a change in your energy bill. If an outdated, old furnace, air conditioner or water heater is causing a spike in monthly energy expenditures, then it's time to replace your system. Be sure to talk with a qualified contractor before you move forward with any repairs or replacements as they can give you customized advice based upon your family's heating, cooling or water heating demands and your current system's performance. Homespect LLC is a full service, multi-inspector home inspection company. We perform home, commercial, termite, pool, septic and log home inspections. We also perform mold testing . Our service areas include all of southern NJ including Medford, Mount Laurel, Cherry Hill, Voorhees and Marlton. 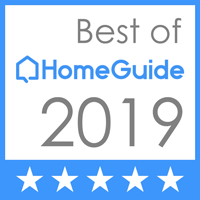 Homespect also covers Southeastern Pennsylvania.